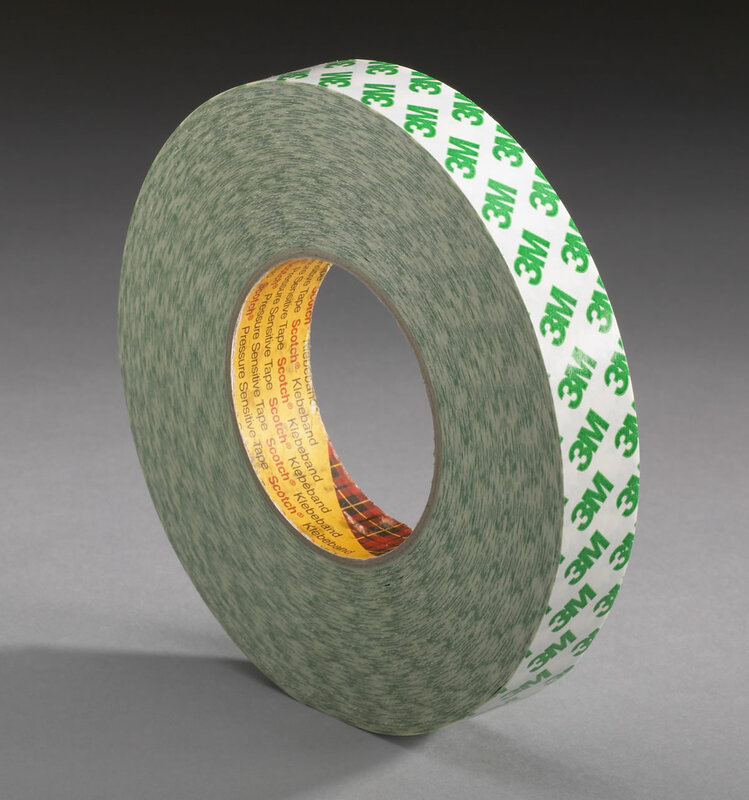 3M™ High Performance Double Coated Tape 9087 3M 9087 | Fabrico, A Division of EIS, Inc.
10.0 mil double coated tape 375 adhesive with a PVC carrier on a 3.0 mil white paper, green print liner. Features high peel and shear strength with excellent resistance to UV light and good solvent and plasticizer resistance. 158 degree F long term temperature performance. Applications include POP displays, indoor/outdoor signs, splicing, etc. 10.0 mil double coated tape 375 adhesive with a PVC carrier on a 3.0 mil white paper, green print liner. Features high peel and shear strength with excellent resistance to UV light and good solvent and plasticizer resistance. 158°F long term temperature performance. Fabric and Leather Stitching||Blind Manufacturers||Print Finishing||Furniture Trim||Splicing||Applications include POP displays, indoor/outdoor signs, splicing, etc.